Growing up everything may not have seemed like a fairy tale, but you always had your dad to make it all easier for you. Every girl deserves to have a special relationship with that first man in their lives. Daddy may not have always known how exactly to deal with some of your problems, but the important part is that he was always there beside you. My dad has always been a constant support to me, no matter what. He always says "Don't be afraid to try anything new. After all, I'll always have your back!" Though such gestures of affection may be rare from men, a dad never fails to show his love for his daughter. Whatever you did, from messing up your room, to yanking the cat's tail, your father could never really bring himself to scolding you. Yes, there may have been moments where you got into a rebellious battle with your parents, but then it must have ended with at least dad on your side! In fact, the reason why a father makes an amazing shopping partner, is basically because he can't say no to his precious little girl. Your dad and you have similar taste when it comes to food. From greasy burgers to those salty fries, you know your favorite meal is always just a call away. These are mostly things your girlfriends wouldn't have had with you, but that is exactly why your dad makes the perfect partner for that perfect lunch. 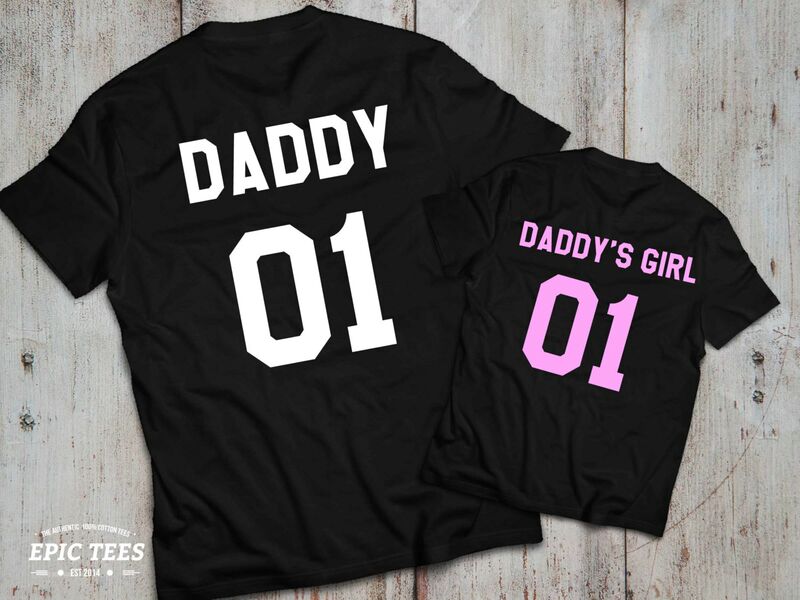 Being a daddy's girl, you've spent hours watching him fixing things around the house, while you would keep him company with your tales of school or your next door friend to him. Though you didn't appreciate it then, you realize that most of your workmanship skills were just handed over to you by your dad. When your father is your "go to man", you know you have a patient listener in him. From your troubles with study or work, to that fight you had with a friend or sibling, he is always there to listen to you and then comfort you. Having play dates with your dad was fun, because he always took time to taste that imaginary tea you made or play with those dolls he bought you. He realizes that he may not always be able to solve your problems, but that doesn't stop him from taking out time for you as you rant on and on. Since you were a kid, you've been the apple of his eye and it is just natural for you to have an embarrassing nickname that only he calls you with. You have that knowing look you can pass to signal whether mom's in a bad mood or when you share an inside joke. That was one of the best parts about growing up close to your dad: these little things made you feel special and loved and you still love daddy for that. Dad ensured that you grew up feeling loved and cherished. This is the reason, that you have such honest opinions regarding what you feel passionate about. He may have chided you from time-to-time if you went too ahead of yourself, but he always encouraged you to develop your own opinion and ideas about the world. 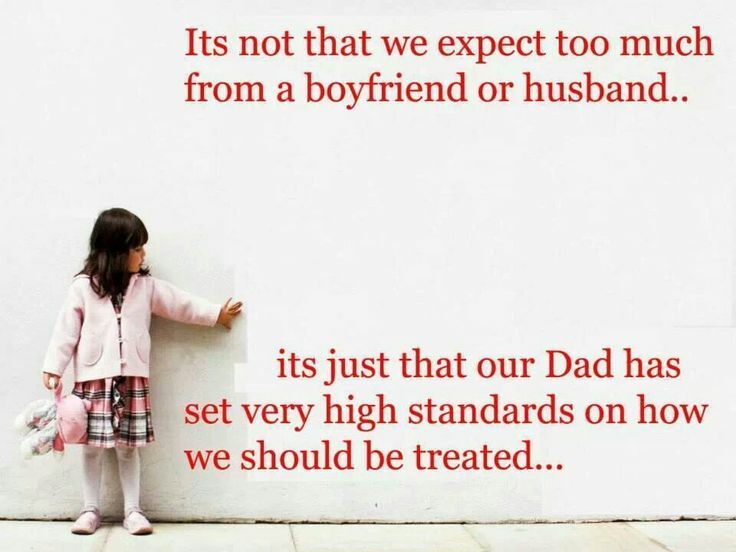 Give your dad some credit here, for wanting to raise a strong and independent woman. It doesn't matter whether you are 4 or 40. Dad always knows how to cheer you up. He knows your tastes, likes and dislikes and takes care of you in a way nobody else ever could. From attending those tedious parent teacher meetings and then taking your side entirely, to asking about you after a weary day, dad will always know how to lift your mood. Remember how he clapped when you dressed up as a teapot for your fancy dress competition? You are always going to be special to your dad. The best part about it, is that he will convey the feeling to you not merely by words but also actions and gestures. Every accomplishment of yours is treasured away by him at that special corner of his heart that is just reserved for you. 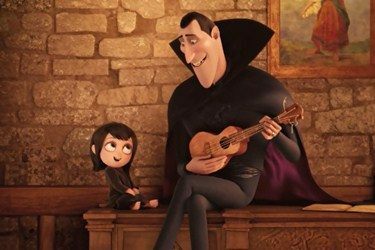 Even though it may seem little to you, your father is always proud to see the way his little girl has come along. Being a needy and dependent person is the last thing you are ever going to consider. You were raised as a strong woman, who had the liberty to make her own decisions (backed by dad, of course). You are not likely to feel an overpowering urge to have a male presence in your life always. You also know which traits are to be appreciated in men and which aren't. I hear all the time about girls being scared of spiders or cockroaches or other insects or even getting a little dirty here and there. 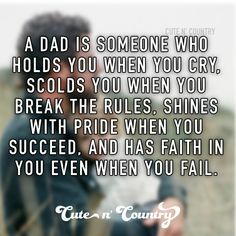 Growing up with daddy by your side, I'm sure you've been to numerous camping/fishing trips, fallen down numerous time while learning to cycle or made mud pies for him. What's more, you may even have been in his shoes literally, trying to put on his over-sized shirts or demanding to wear shoes and sneakers instead of those tightly strapped heels and sandals. It may have sent your mom over the edge, but then, your antics always made your dad smile. Being close to your parents is a natural feeling. A mother-daughter relationship is always touching and one of the most intense relationships ever. But what makes a father-daughter relationship so special, is only something very few people can understand. 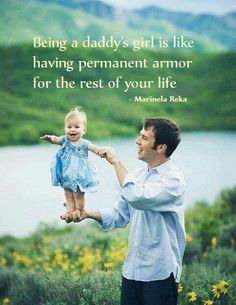 It takes a strong and loving man to cherish and accept his daughter for who she is, while going about his daily work just to bring a smile on her face at the end of the day. It is more special to some, not because of the words exchanged, but because of that simple space shared by a supportive father and a responsive and appreciating daughter. Flipping Off Your "Humanity Switch"
You may have come across people in daily life who have the ability to completely turn off their emotions for a while. People belonging to the "Vampire Diaries" fandom, know exactly what I'm talking about. What is this "Humanity Switch"? Basically, according to Damon, you can flip your humanity on and off as and when you wish to. Switching it off lets a vampire detach his/her actions from any emotional judgment or guilt. This is the excuse these creatures have for killing ruthlessly and actually consuming a nutritious diet of blood, blood and just blood. Upon whether you really want to, whether you have the will to flip it off or whether the situation demands such a thing of you. You may have seen... Some people are able to keep a check on their emotions for a certain time and then simply break down once they are ready to. Of course, this isn't a healthy way of dealing with problems...but then, what is? All girls have girl besties...but what about the guys? There are so many perks of having a guy best friend, that only the lucky ones would understand. So many movies have been made about best friends falling in love and getting together, but sadly very few on the guy and girl staying friends forever. If some one tells you guys can never be "just friends" ... believe them, because guys were meant to be our BESTEST friends. 1. They can make any damn thing sound funny. Be it a bad date or a worse day, ...he's got it all covered with his stupid jokes and sick sense of humour. It simply isn't possible to not end up rolling around in laughter when he's around. 2. You can always skip the drama around you guy best friend. The easy going and carefree attitude you have around him isn't what you would have shown your boyfriend, but its priceless. I just realized...we're already here.